What is poverty? How poverty relates to people’s wellbeing? The concepts of poverty and of wellbeing are highly intertwined; however, there is little research on how specific conceptions of poverty relate to people’s wellbeing. This chapter revises the prevailing traditions in conceptualizing and assessing people’s wellbeing and how they end up being implemented in poverty studies. 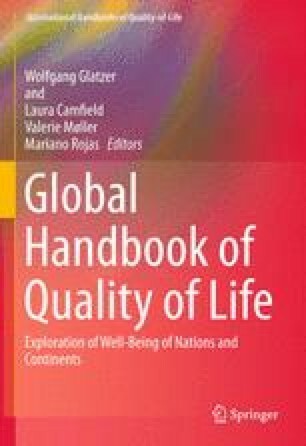 The chapter argues in favor of a subjective wellbeing approach to understand and assess people’s wellbeing. It is not only to get people out of poverty; it is also to get them into a life-satisfying situation. Poverty studies would benefit from placing greater attention to the essential experiences of being well people do have as well as to their overall assessment of life. A better theory of wellbeing could emerge on the basis of this information; and this would reflect in social programs that do really impact on people’s wellbeing. The author would like to express his gratitude to the Josef Popper Nährpflicht foundation for financial support to write this chapter.